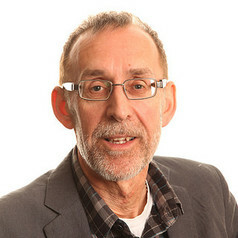 Ralph became a lecturer in Employment Studies at the University of Salford in 1991 and was promoted to senior lecturer in 2000 and Professor of Employment Relations in 2008. He is Director of Postgraduate Research in the College of Business and Law, with responsibility for some 150 PhD students. His teaching interests are in the areas of work, employment, industrial relations and trade unionism. He teaches Employee Relations on a third-year undergraduate module and Employment Relations and Law on a postgraduate module. He has given guest lectures at a number of universities in Britain, as well as in France, Spain, Finland and Germany. Ralph has authored, co-authored and edited six books, including The Dynamics of Workplace Unionism (1994), The Political Trajectory of J.T. Murphy (1998), Glorious Summer (2001), Syndicalism and the Transition to Communism: An International Comparative Analysis (2008), What's the Point of Industrial Relations? : In Defence of Critical Social Science (2009), and Radical Unionism (2013). He has also had 13 book chapters and 29 journal articles published in both British and international journals, and presented research papers at conferences in 12 different countries around the world. Ralph is an executive member of the British Universities Industrial Relations Association, executive board member of the International Association on Strikes and Social Conflicts, and member of the British Sociological Association. He is an editorial board member of the journal Work, Employment and Society and an editorial advisory board member of Employee Relations: The International Journal. Ralph also acts as a referee for the British Journal of Industrial Relations, Industrial Relations Journal, Work, Employment and Society, Human Resource Management Journal, Capital and Class, Employee Relations, Labor Studies Journal, International Review of Social History, Historical Studies in Industrial Relations, Journal of Contemporary History, Economic History Review, and Contemporary British History. He was guest editor of a special issue of Socialist History (2010) and joint editor of special issues of Capital and Class (2012) and Historical Studies in Industrial Relations (2012). He is also guest editor of a special issue of Employee Relations examining the changing nature of employment relations over the last 50 years which will appear in 2015. For the last 20 years Ralph has been secretary of the Manchester Industrial Relations Society ( www.mirs.org.uk), the primary forum for academic and practitioner debates in the field of industrial relations in the north-west of England. He is currently organising a 50th anniversary one-day national conference to be held in November 2014. In addition to acting in an advisory capacity for a number of trade unions, his research has been featured in national and local newspapers and on radio and television.